The Southeastern Center for Contemporary Art (SECCA) is grateful for the overwhelming support from the sponsors of the 2018 SECCA Slam for Art. If you see people who work at these companies, or are friends with our individual sponsors, we hope you will thank them for donating generously to the future of contemporary art. Headquartered in Greensboro, North Carolina, Biscuitville FRESH SOUTHERN® is a family-owned company that offers guests an authentic Southern-inspired dining experience. Known as the “Home of the Biscuit Window Since 1966™”, Biscuitville offers genuine Southern hospitality and makes food the old-fashioned way. Biscuitville uses fresh, authentic ingredients, sourced locally whenever possible. Biscuitville serves breakfast all day from 6 a.m. to 2 p.m. and offers a lunch menu from 11 a.m. to 2 p.m. at all Triad locations. Our firm offers businesses and individuals a team of attorneys with extensive experience in a range of practice areas. Our size and location offer clients the benefit of ready access to your attorney and a team of experienced legal professionals that work together seamlessly to help you accomplish your goals efficiently and successfully. Charity Golf International’s Mission is to enhance Charity Golf Events throughout the United States. We take pride in entertaining the tournaments clients and attendees by creating excitement with 400 yards drives from our Professional Long Drive Entertainers. Our goal is to provide professional fundraising, raise awareness for the Foundations cause, and assist charities in reaching their financial goals. Dixon Golf made a significant innovation in golf by introducing the world's first 100% high performance eco-friendly golf balls. We strive to lead the golf world in generating "green" initiatives to help eliminate the est. 300 million balls discarded each year. Dixon's mission goes beyond the course and that is why we extend ourselves to the community in which we live. As a growing company, we continually search for creative business methods and inspiring stories that can fuel our forward-thinking. For more than 40 years, Excalibur has provided businesses and non-profit organizations with full-service direct marketing that delivers results…on target, on time, and on budget. While today’s technologies are more sophisticated, our driving principles remain the same: Insightful Strategy. Strong Creative. A Compelling Offer. A Clean List. Impeccable timing. Personalized messaging…and results that exceed your goals. Express Graphics in Winston Salem, NC produces signs, banners and marketing graphics. This includes trade show displays, brochures and flyers, and event banners and signs. Whether you need a poster for an easel board, a large step and repeat back drop or a pop up banner stand we have you covered. Our website is an online tool. It allows for quick online quotes, download templates for display hardware, file transfer and some of our products can even be customized online. Keep in mind, our customer service team is also happy to assist you in person, over the phone or via email about your special project needs. We give our customers peace of mind that their projects will be delivered as expected. Our aim is to be a trusted, professional partner providing expert consultation, excellent quality and exceptional customer service. Feisty PR, Minneapolis and Winston-Salem, NC, is known for creative, non-traditional marketing to transform tired brands, catapult the launch of new products, motivate action and inspire loyalty for companies through the use of innovative marketing techniques in the areas of public relations, social media, influencer development, guerrilla marketing, events, publishing, online and experiential marketing. The company has expertise in the areas of health care, pharmaceutical, consumer products, packaged goods, financial, transportation, associations, non-profit and sporting industries. At Flow Automotive, our mission is to serve the total automotive needs of our customers. Our vision is to be an organization dedicated to creating lifelong, enthusiastic customers by delivering superior value and providing extraordinary personal service. Genuity Concepts was founded in 2003 by John Delaney and Misty McCall and now employs an experienced team of marketing, account management, graphic design, product design, and certified medical illustration specialists. Companies from around the world come to Genuity Concepts to answer these basic questions about promotional products and creative promotional advertising programs: What should we do? What products and methods will work best to suit our client’s targets and budgets? How do we do it? We answer these questions via in-depth analysis of brand personality and target analysis, ad campaign compatibility, product innovation and design, presentation packaging, and interactive media. Kingdom is the premier luxury golf and lifestyle magazine in the United States. Founded by golf legend Arnold Palmer 15 years ago, the quarterly magazine has grown to have a national distribution at 2000 private clubs and resorts in the USA. It is read by the leading figures in the game and appears in many of the finest golf and country clubs in the United States. Kingdom interviews the world's leading golfers, travels the world, road tests the latest luxury cars and samples the finest wines, whiskies and cigars. 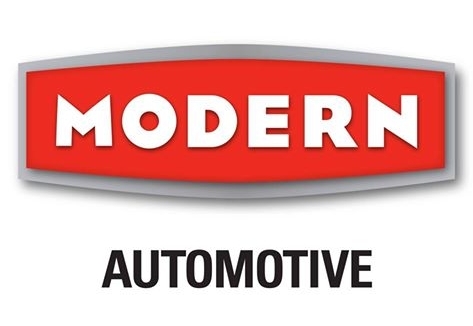 Modern Automotive Group in NC treats the needs of each individual customer with paramount concern. We know that you have high expectations, and as a car dealer we enjoy the challenge of meeting and exceeding those standards each and every time. Allow us to demonstrate our commitment to excellence! Our experienced sales staff is eager to share its knowledge and enthusiasm with you. We encourage you to browse our online inventory, schedule a test drive and investigate financing options. We look forward to serving you! We are a plastic surgical practice specializing in cosmetic and restorative procedures. Our priority is to provide superior care to our patients while maintaining an empathetic understanding of the individual needs of each. From the first visit to our office, throughout scheduled surgery and during ongoing medical care, we strive to make your experience a positive one where your dignity and confidentiality are maintained. Dr. Scott L. Tucker, Dr. Hampton A. Howell and Salem Plastic Surgery provide treatment for a variety of conditions both cosmetic and reconstructive. Solarté’s exclusive line of luxurious body and hair care products is inspired by the company's heritage of offering superior products made with pure, natural ingredients from the South of France and nutrient-rich shea from the karite trees of Africa.The experience of indulging in the natural, luxurious feel of shea butter infused with the wonderful fragrances of relaxing lavender and invigorating verbena is transformative for body and spirit. Sunnyside Millwork Inc. is small custom woodworking shop established in 2016 by David and Amber Dalholt in Winston-Salem, North Carolina. We first opened our shop with the desire to create custom furniture at affordable prices. Since opening, we have expanded to meet the demands for cabinetry and custom millwork for local businesses and homes. We have enjoyed working to make our city into something unique and knowing that our thumbprint will be around for generations to come, is truly rewarding. The original Village Tavern opened its doors in 1984 in Winston Salem NC. The idea was simple, serve the best possible food, at affordable prices, using only the finest freshest ingredients, and to enrich the lives of each other, our guests, and our community. In other words to make a positive difference. Today, just as in 1984, we remain committed to our founding principles. Be a Great place to work, deliver Great Food, Great Service, and Great Value to our guests everyday. That's what we do, and we love what we do. Numerous individual sponsors have donated generously to make this tournament a success including: Lee Bowles, Frank & Kelly Campion, Angela Jenkins, Don Long, Siobhan & David Olson, Gordon Peterson, Wes Salisbury and more.